Can you believe it’s November already?! I sure can’t – that just means Christmas is right around the corner and I’m NOT ready for Christmas yet lol! 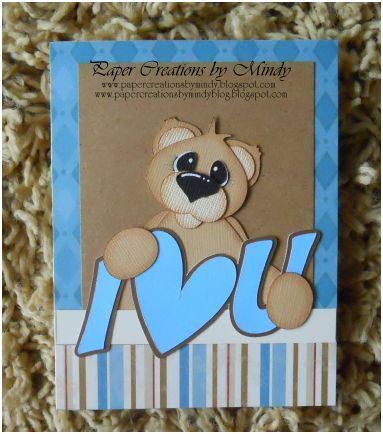 I want to give a big HUGE thank you to everyone that joined us on the Scraptastical Kreations and Treasure Box Designs Mix It Up Blog Hop this weekend. It was a great turn out! Did you see that prize package?! Wow! Wish I could have entered lol. That’s ok though- it was still great to see all the fabulous artwork out there. This week I’ve created a little gift package. Instead of putting my card in an envelope – I’m putting it in a little box…..
and the card inside the box. 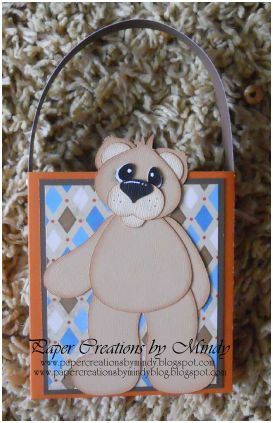 Files used to create this adorable gift package were purchased at Scraptastical Kreations: the bear from Building Adventures, I *heart* U title from the Valentine’s Day Title Collection. 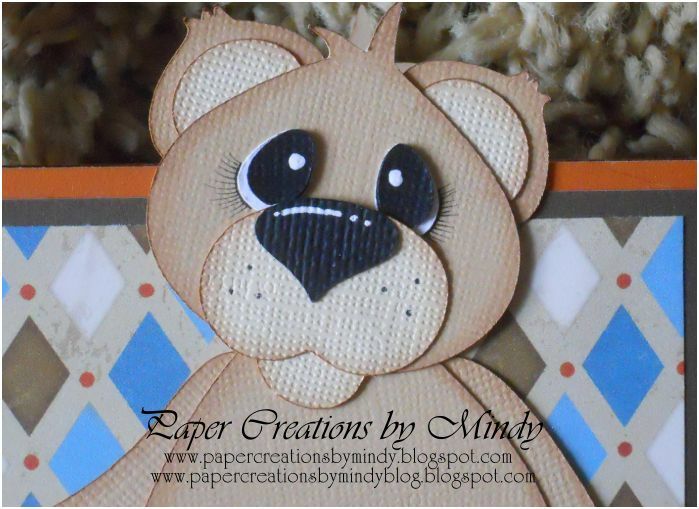 You can also find me on Facebook at… Paper Creations by Mindy. Super project. I love it. Great job inking the bear…it looks so real and soft. So cute. 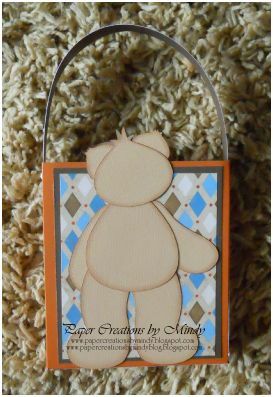 L like that the back side has the bear's back side! And I like that the bear is up over the top of the bag.